Don't worry, you can keep playing after the game's updates stop. The release date for Skipper Pavilion wasn’t revealed, but we do know it’s coming to the game sometime in October. Eurogamer also spotted a new special weapon coming to Splatoon 2 called the Booyah Bomb. Also announced on Twitter, the weapon can be charged up by using the “Booyah!” signal (players can use signals to communicate with players on their own team). Players on the same team can also use the Booyah! signal to receive their own bonus. Once the Booyah Bomb is charged, players can detonate it to cause a large explosion of ink. 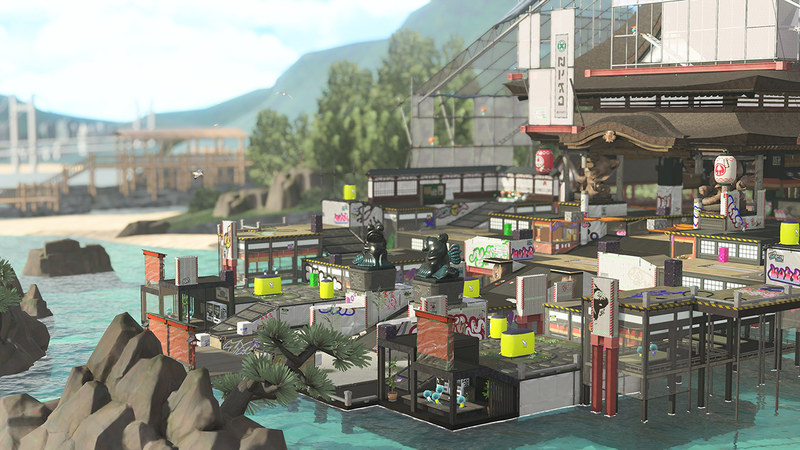 Like the Skipper Pavilion map, no official release date was announced for the Booyah Bomb. As Eurogamer pointed out, Nintendo previously announced it would continue updating Splatoon 2 with new content until the end of 2018. Even though the game’s last new map is coming in October, that still leaves time for other updates to be released -- perhaps related to weapons and other in-game items. We’ll make sure to let you know if any additional updates are revealed this year. In the meantime, if your kids are looking for more things to do in Splatoon 2, check out the Octo Expansion that launched earlier this year. It contains over 80 new missions for players to complete, among other features.